Man City and Man Utd players clashed after the former’s 2-1 win at Old Trafford on Sunday, and further reported details continue to be leaked. Pep Guardiola’s men arguably took a huge step towards winning the Premier League title at the weekend, stretching their lead to 11 points over their city rivals. Although it’s still December and there’s surely a dip in form still to come from City, that’s a sizeable gap for United to make up and so it’s no surprise many are suggesting the race is done. However, reports of an alleged bust-up between the two sets of players as well as Jose Mourinho have continued to overshadow the game, with Marca now noting one of the things that sparked the fiery clash off. 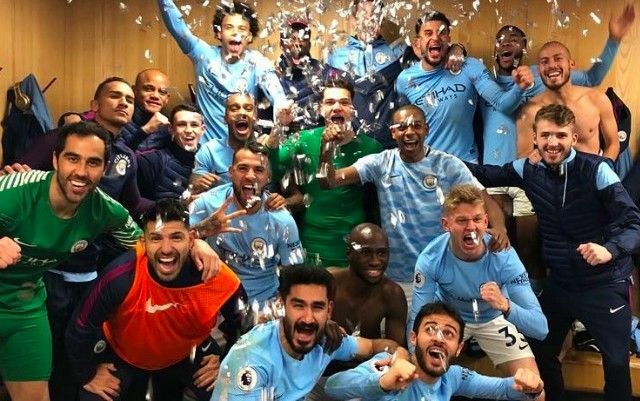 It was undoubtedly within the rights of the City players and staff to enjoy the moment and celebrate the win, but some will argue that they took it too far. As per the report, aside from Mourinho and Mikel Arteta being involved, there was a joke made about Zlatan Ibrahimovic which seemingly angered the United camp. “Ibra, you talk a lot but you move a little,” was heard being said, Marca note. That then led to the melee that has since been reported, with United players likely to have stuck up for their teammate and with tension already high with tempers ready to flare up, the rest is said to have followed. As per the FA, both clubs have until 6pm on Wednesday to offer their assistance in explaining what happened, and in turn it remains to be seen what action they decide to take.